Many people can work even if they are disabled. In general, disabled employees require some sort of accommodation. Instead of being accommodated and treated fairly in the workplace, many disabled employees are subject to disability discrimination and ultimately denied accommodations. Did your employer discriminate against you because of your disability? Did your employer deny you an accommodation? If so, you might have grounds to take action against your employer. Depending on the details of your situation, you might even have grounds to receive compensation. If you are interested in exploring the possibility of taking action against your employer, do not hesitate to contact the experts at California Labor Law Employment Attorneys Group as soon as possible. The employment attorneys at our law firm have many years of experience handling disability discrimination claims – including those including the failure to provide a reasonable accommodation. If you would like to take action against your employer, do not hesitate to contact our law firm as soon as possible. Disability discrimination occurs when an employer treats an employee different just because of his or her disability. Although discrimination could present itself in many ways, it generally consists of unfair treatment, inappropriate comments, demotions, pay cuts, schedule changes, and a lack of equal opportunities, for example. In many cases, disability discrimination leads to employers failing to accommodate their disabled employees. In many other cases, disability discrimination eventually leads to termination. Regardless of how the disability discrimination that you suffered affected you, you could trust that the lawyers at California Labor Law Employment Attorneys Group are ready to provide you with the guidance that you need to take action against your employer. What Laws are Relevant to Disability Discrimination? These laws make it unlawful for employers to discriminate against you based on your disability. These laws also require employers to provide reasonable accommodation to their employees upon their request, except when doing so (providing an accommodation) could cause an undue hardship. If you would like to learn more about these laws or other laws that are relevant to disability discrimination and reasonable accommodations in the workplace, do not hesitate to seek legal assistance at our law firm as soon as possible. Why would disabled employees need reasonable accommodations? There are a handful of disabilities that do not require accommodations. However, most disabled employees need some sort of accommodation – even if it is a minor accommodation. Reasonable accommodations essentially make it possible for employees to effectively perform their job duties and have equal access to the opportunities, benefits, and privileges that come with being employed. Depending on the specifically disability at hand, the accommodation necessary might differ. For instance, a disabled employee might need a standing desk for a severe back issue that makes sitting painful. Likewise, a disabled employee might need a desk that allows his or her wheelchair to fit comfortably within the workstation. Likewise, a disabled employee might benefit from the office layout changing in a way that makes it accessible for a wheelchair. An employee that is deaf or hard of hearing might need to be accommodated with a sign language interpreter for important meetings, for example. An employee with cancer might request his or her schedule to be altered to ensure that he or she can attend treatment sessions. In general, accommodations are likely to include physical changes in the workplace, changes in technology used in the workplace, changes in the way information is communicated in the workplace, and changes in workplace policy, for example. If you are disabled and you requested a reasonable accommodation – only to be subject to disability discrimination – do not hesitate to seek legal assistance as soon as possible. Our lawyers are ready to provide you with the guidance that you need to take action against your employer. The EEOC and DFEH are employment agencies on the federal and state levels, respectively. These employment agencies enforce employment laws on their appropriate levels and handle claims when brought forth by victimized employees. When you file a charge with either the EEOC or DFEH, the employment agency begins an investigation and takes action against the employer (if found necessary). Although all claims must go through the EEOC or DFEH, employees also have the option to pursue a civil lawsuit against their employers. 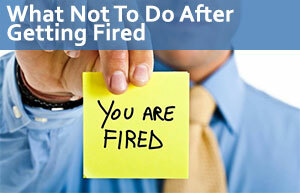 However, employees must first be granted the right to sue from the EEOC or DFEH before they can file a civil lawsuit. If you would like to learn more about the different options available to you in terms of taking action against your employer, do not hesitate to contact the disability discrimination lawyers at California Labor Law Employment Attorneys Group as soon as possible. Our experts are ready to fight for your rights as an employee. As previously mentioned, the outcome of your case depends on the specific details of your case. If you would like to learn more about the compensation that you could receive and the possible outcomes of your claim, do not hesitate to seek legal assistance with the experts at our law firm as soon as possible. Our disability discrimination attorneys are ready to evaluate your claim and fight for your right to recover all the compensation available. To continue discussing the potential outcome of your claim, do not hesitate to contact our firm today. Did you suffer disability discrimination in the workplace? Did your employer fail to provide you with a reasonable accommodation for your disability? If you believe that you have been discriminated against based on your disability and that your employer has infringed your rights by failing to provide you with a reasonable accommodation, do not hesitate to seek legal assistance as soon as possible with the employment attorneys at California Labor Law Employment Attorneys Group. California Labor Law Employment Attorneys Group is an employment law firm with many years of experience handling many different types of employment claims, including disability discrimination claims. If you are interested in allowing the experts at California Labor Law Employment Attorneys Group to provide you with the representation that you need to take action against your employer, do not hesitate to contact our law firm today. Our law firm is dedicated to ensuring that all victimized employees have access to the legal assistance that they need to hold their employers accountable. Unfortunately, many employees who have been mistreated in the workplace fail to seek legal assistance because they fear having to pay expensive legal fees to speak to an attorney. At our law firm, we offer both free consultations and free second opinions. During our free consultations and free second opinions, our disability discrimination lawyers with experience in claims surrounding the failure to provide reasonable accommodation to disabled employees will provide you with the legal assistance that you need to take action against your employer. Our employment attorneys are ready to answer all your questions, address all your concerns, and provide you with all the information that you need to begin or continue your legal process against your employer. If you would like to schedule a free consultation or a free second opinion, do not hesitate to contact our law firm at your earliest convenience. As mentioned above, we are dedicated to ensuring that our legal services are available to all. Therefore, our legal services are available through a Zero-Fee guarantee – you will never have to worry about paying any upfront legal fees for any of our services. Our law firm is also based on a contingency structure; therefore, our clients are never expected to pay any legal expenses until after reaching a successful claim outcome. If you would like to discuss your claim with our lawyers, do not hesitate to contact California Labor Law Employment Attorneys Group today.